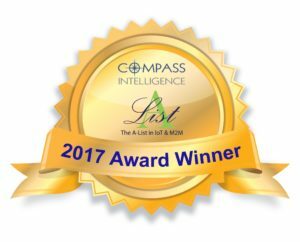 PALO ALTO, CA — July 11, 2017 — Striim, provider of the leading end-to-end, real-time data integration and streaming analytics platform, is proud to announce it has been awarded the Compass Intelligence award for Innovative IoT Product of the Year, one of their A-List in IoT awards honoring the top companies, products and innovators in mobile, IoT, and emerging technology. Recipients of the Compass Intelligence Awards, now in its 5th year, are selected by 40+ industry-leading press, editors, journalists, thought leaders, and analysts. The 68 different awards recognize the best in mobile devices and software, wireless technology, platforms, mobile applications, IoT technology, wearables, robotics, augmented reality, artificial intelligence, reuse/recycling of devices, connected products, and emerging solutions. Striim was recognized for Striim for IoT, its innovative solution that addresses the three primary challenges to IoT data management and analysis: managing IoT data, integrating IoT data with enterprise data, and addressing IoT-related security issues. 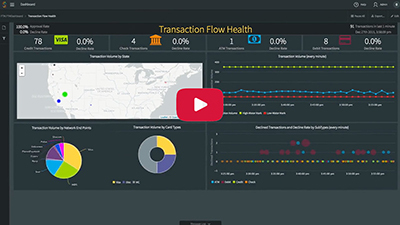 Striim for IoT is the only solution that enables organizations to expand beyond siloed IoT data to involve data from across the enterprise – ingesting, integrating and analyzing all their data sources in real time to gain actionable insights. Striim for IoT was announced at the IoT World conference in Santa Clara, CA in mid-May of this year. For more information, read the Striim for IoT press release, visit Striim’s IoT Solutions page, or download the Striim platform.